First of all, I am not a Scrapbook Girl. I have plenty of friends who will happily spend hours–and even weekends on special scrapbook retreats–layering expensive artistic papers and stenciling things and tying on artful little ribbons. It’s not my cup of tea. I enjoy the convenience of my digital photos on my computer and backed up somewhere else by my adorable and technically proficient husband. 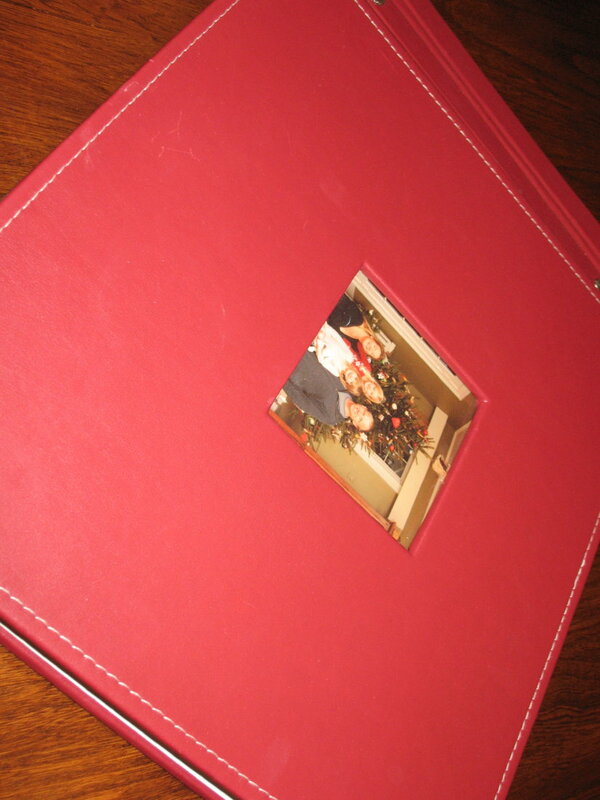 I do have a Christmas scrapbook. And I think it’s an excellent idea. So I’m going to tell you why you should have one, too. Especially those of you who have little teensy kids. Because I only came up with the idea a year or two ago, so I missed my chance on some items. There’s stuff that you’ll forget. Like what the favorite gift was when Toddler turned 3, who gave whom the ballerina ornament, and which year you all camped in the living room because the power was out (or was that just us?). You’ve got tons of crap to keep. 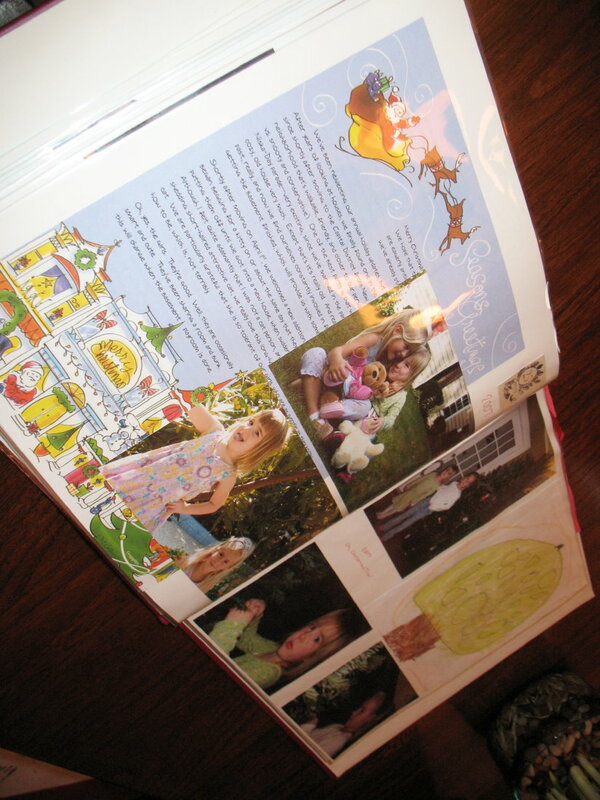 You need to save a copy if you send a Christmas letter (I don’t, anymore, because everyone mysteriously knows what’s happening at our house already), your friends will send you adorable photos, and your children will make sweet and funny holiday-themed crafts. 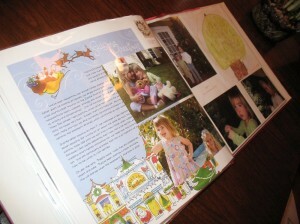 The scrapbook becomes its own part of the holiday tradition. We put it away all year, then pull it out for the coffee table at Christmas time. 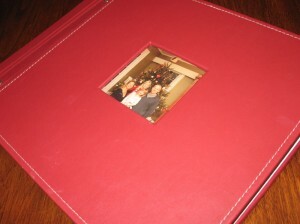 The kids like to look through it, and they love to hear the funny stories. Like how, when she was 2, J was afraid that Santa would sneak into her room and play with her toys, so he had to write a special note to reassure her. Anyway, it’s a worthy project, but don’t worry about it now. Just save the better crafts this season, write down where those new ornaments came from, & take plenty of pictures. Then during the winter doldrums you can buy winter decorative items on clearance and get yourself ready for next year. Thanks, Erin. And Rachel, I just popped over to your blog, and now I have to root through my sweater drawer to decide what needs to be reborn. Wow, that is one of the best ideas. Thanks!